A new U.S. Drought Monitor Map was released this morning. with some errors. Below is the correct version. 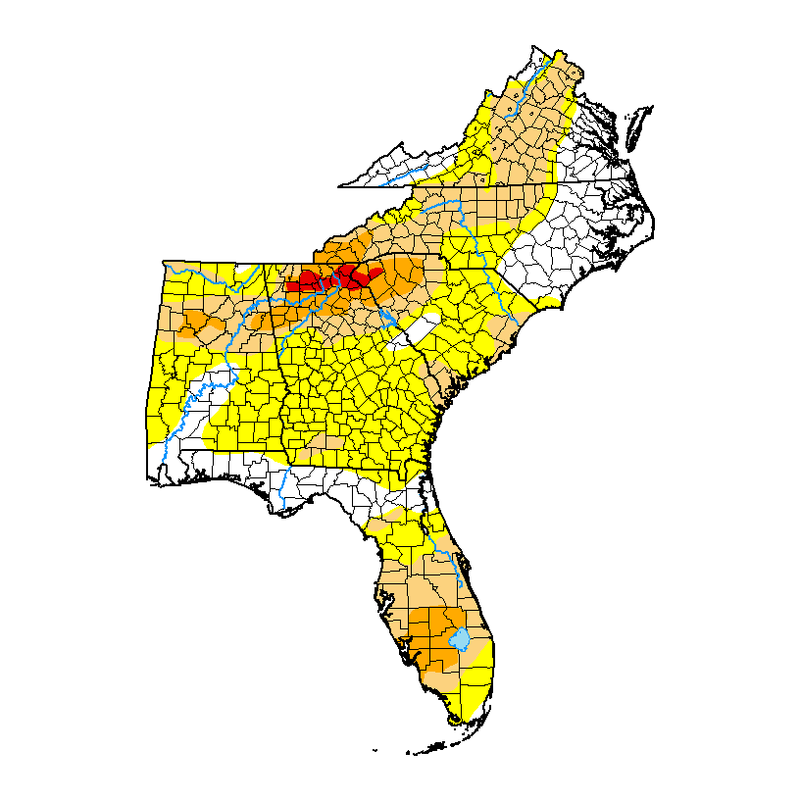 It's still very dry in North Georgia, Upstate South Carolina and Western North Carolina. Florida has dried out considerably froma dry, hot March. The recent storms brought a lot of lightning. At least four homes were hit in Florida, one in Melbourne. The lightning alsostarted brush fires including the ones clustered around South Brevard in the Micco area and the one near San Filippo Dr in Palm Bay. Friday is expected to be a higher fire risk day across much of Florida as the winds pick up and the humidity falls. The map on the left is the FMIS Data Viewer Map.